1. 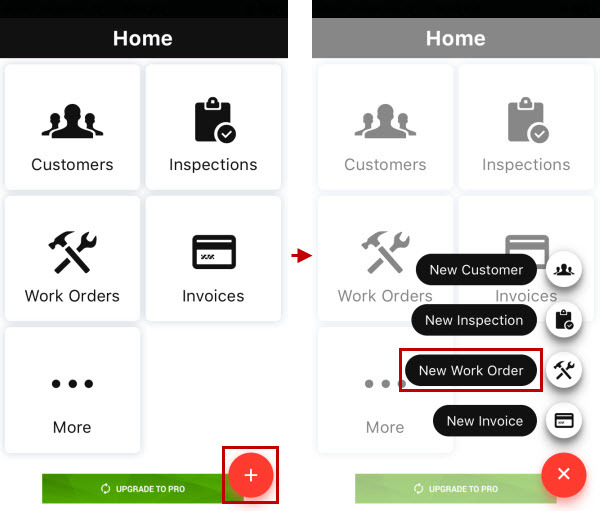 On the Home screen, tap Add, and then tap New Work Order. 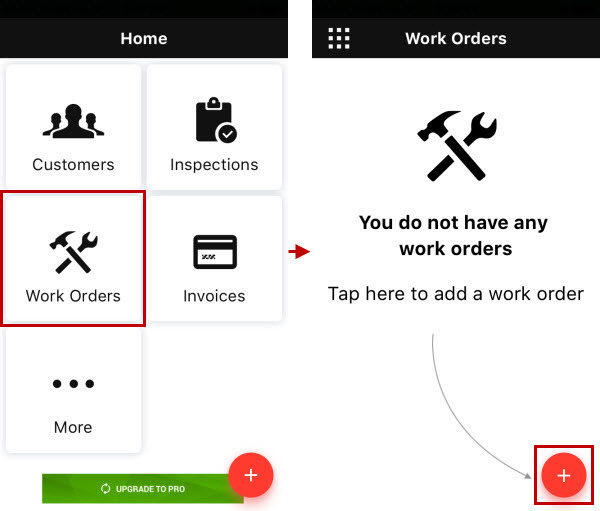 Note You can also tap Work Orders on the Home screen, and then on the Work Orders screen, tap Add. 2. On the Customers screen, tap the appropriate customer. 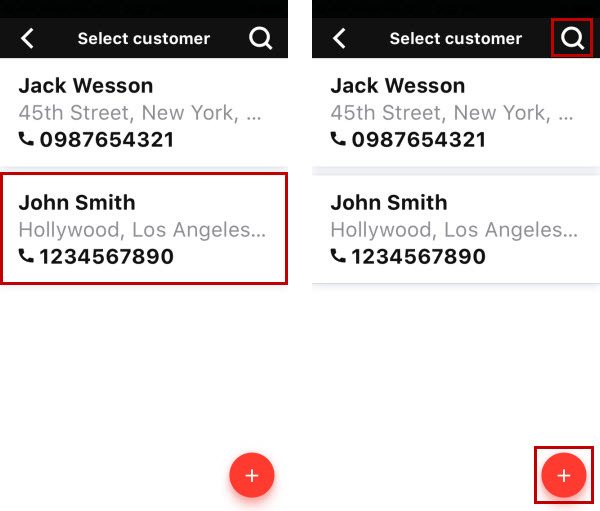 Tip If the customer list is long, tap Search to find a customer, and if the appropriate customer is not in the list, tap Add to create a new customer. 3. 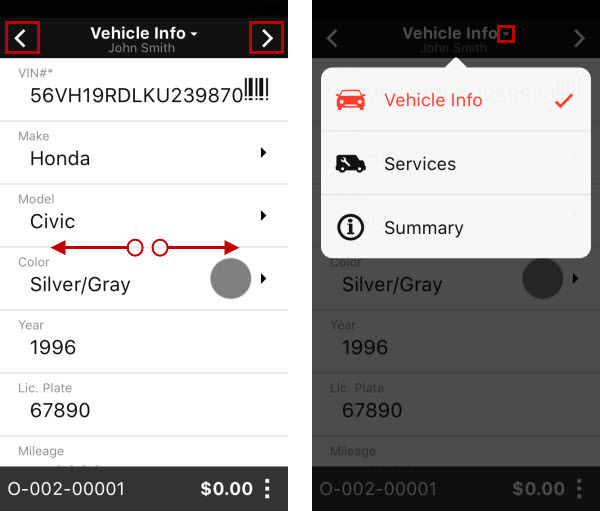 On the Vehicle Info screen, enter vehicle details. 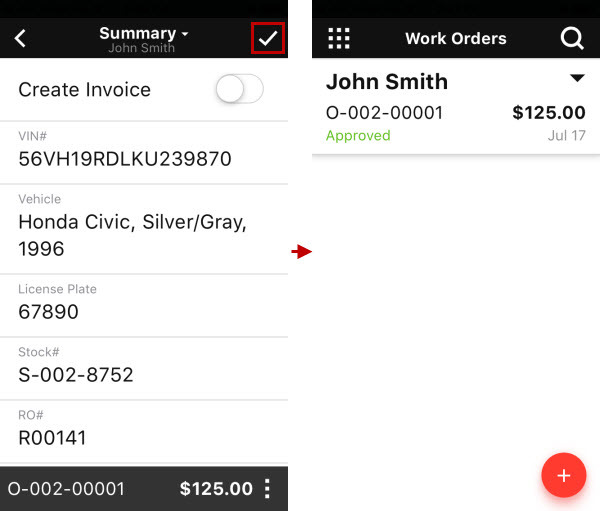 Tip To move between work order wizard steps, swipe left or right, tap the left-pointing arrow or the right-pointing arrow, or tap the down-pointing arrow next to the screen title, and then tap the appropriate wizard step. 4. 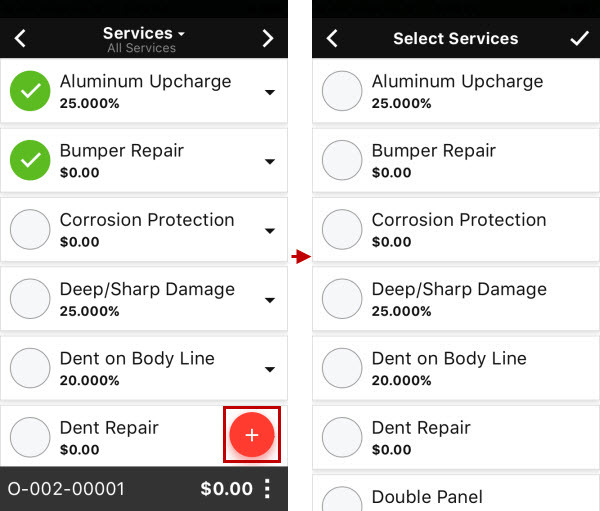 On the Services screen, tap the circle next to the appropriate service(s) that you want to add to work order. 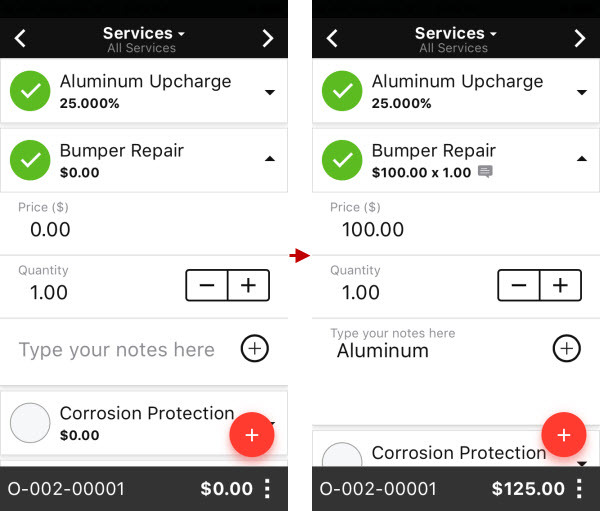 To change service price and quantity, and enter service notes, tap the down-pointing arrow next to the appropriate service. 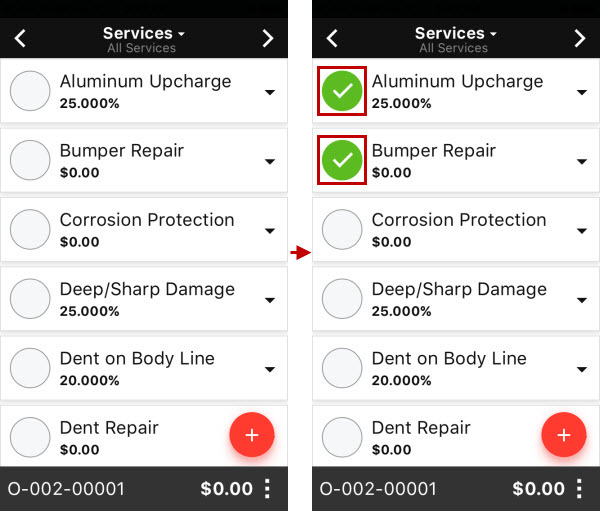 To add a service more than once, tap Add, and then on the Select Services screen, select the circle next to the service that you want to add, and then tap Save. 5. 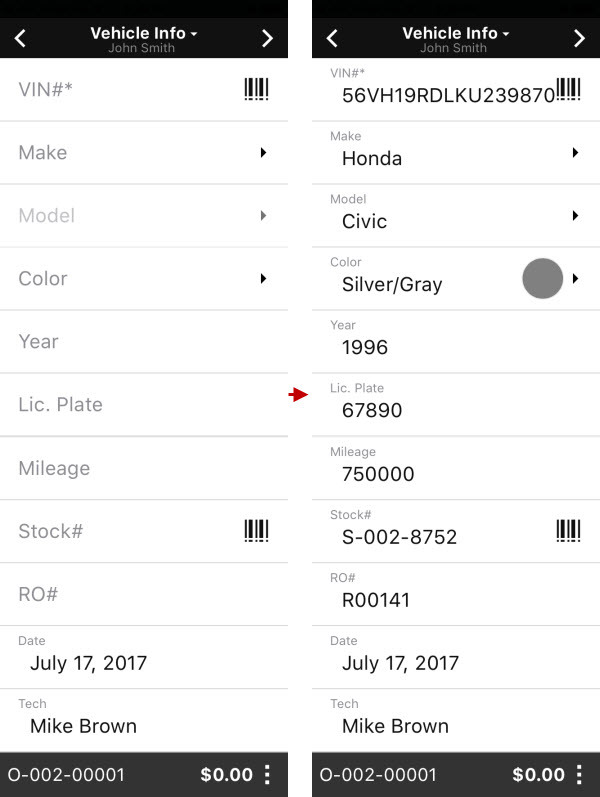 On the Summary screen, tap Save. 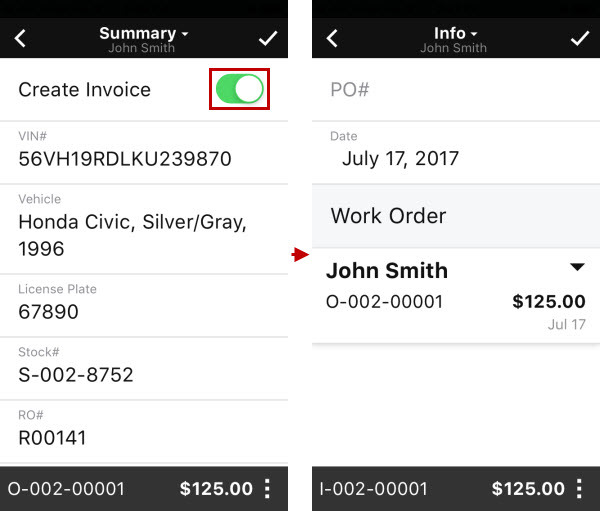 Note To create an invoice from the work order, turn on the Create Invoice option and tap Save on the Summary screen, and then tap Save on the Info screen.